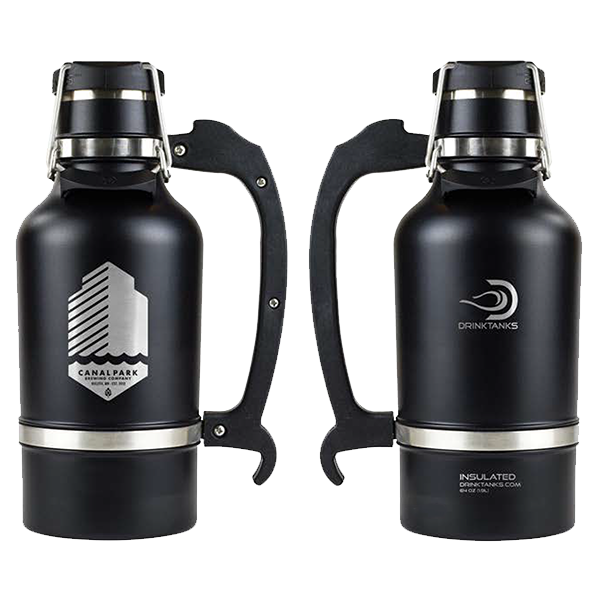 Stainless steel beer growlers are vacuum sealed and double wall insulated ensuring that the beer (or any other perishable liquid) inside stays fresh and carbonated longer than any other growler. It keeps cold liquids cold for 24+ hours and hot liquids for 12+ hours too. DrinkTanks® insulated beer growlers have revolutionized the beer container industry. Now you can take your favorite premium craft beer wherever you want without it going bad, spilling, or getting warm. 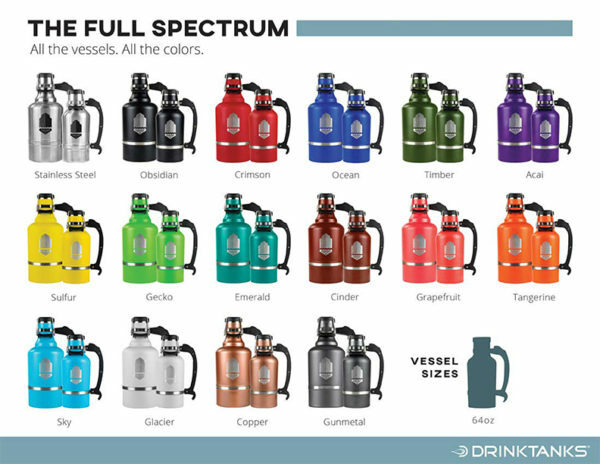 Through years of R&D, the makers of DrinkTanks® created the perfect beer growler. 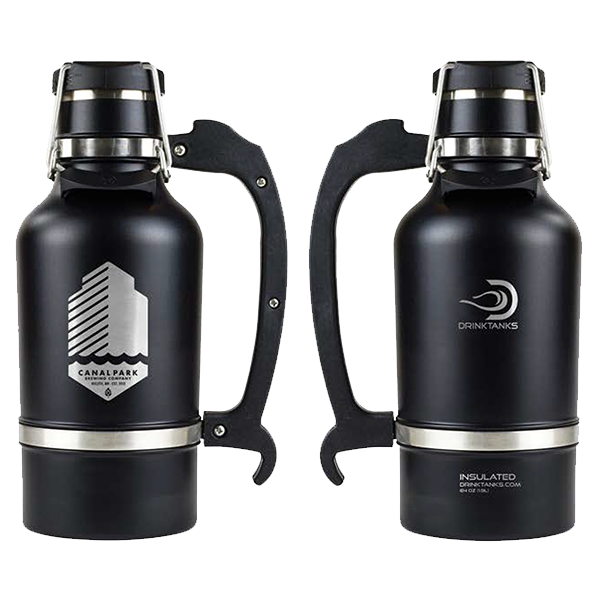 Their stainless steel growlers are vacuum sealed and double wall insulated ensuring that the beer (or any other perishable liquid) inside stays fresh and carbonated longer than any other growler. It keeps cold liquids cold for 24+ hours and hot liquids for 12+ hours too. 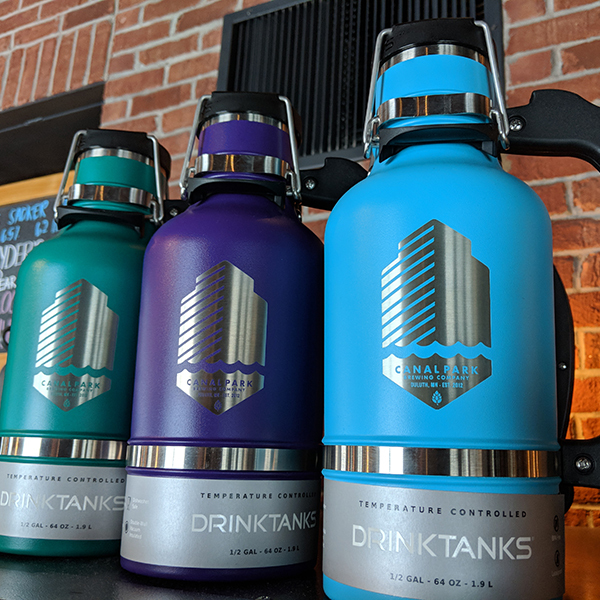 Turn Your DrinkTanks® Growler Into A Personal Keg! 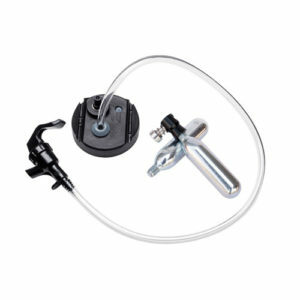 This growler keg tap is designed specifically for DrinkTanks growlers and will keep your beer fresh to the last drop. *Multiple colors available, however, we cannot guarantee the purchase of a specific color. To purchase a specific color, you must do so in-person at the brewery.